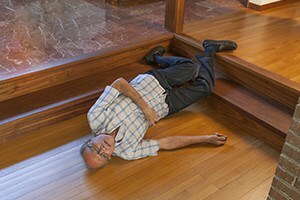 If you were injured in a trip and fall in Hialeah, you should call the Hialeah trip and fall lawyers at the Wolfson Law Firm so you can make sure that your rights are protected. Our Miami personal injury attorneys have been helping injury victims since 1963 and we can use our experience to help you too. Just call us at (305)285-1115 for a free, confidential and bilingual consultation. We are standing by to help you get the justice you deserve. Most of us have tripped and fell at some point in our lives. Sometimes it is just a fact of life. Other times, it might be caused by the negligence of a person or corporation. When that happens, you shouldn’t be a silent victim. If you lose time from work or have to use your valuable vacation or sick time because of someone’s negligence - that just isn’t fair. If you end up with medical bills and expenses that were caused by someone not doing their job, then there is no reason why you and your health insurer should have to pay for those medical bills. It is a matter of fairness. Now if we lived in a perfect world, store owners and commercial property owners would step up and do the right thing. But to expect that to happen is just not realistic. Not only is it unrealistic, assuming the negligent party will do the right thing could cause loss and harm to you and your family. At the Wolfson Law Firm, our Hialeah trip and fall lawyers completely understand the ripple effect that an unexpected injury can have in your world. Most of us get by week to week. A lost paycheck or two can be devastating. Astronomical medical bills can destroy your credit rating and cause untold economic hardships. So for yourself and your family, if you are seriously injured in a Hialeah trip and fall accident get the legal help you need from trip and fall lawyers who serve the Hialeah, Miami Lakes, and Hialeah Gardens area. Our Hialeah trip and fall attorneys know what needs to be done. All you need to do is call us so we can get started on your case today. Our Hialeah accident injury attorneys in Miami are licensed to practice in all Florida Courts. 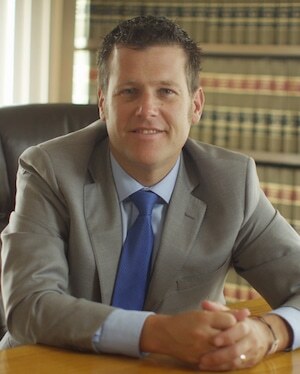 We are available to represent personal injury victims and the families and survivors of Hialeah wrongful death claims. We are available to speak with you 24 hours a day, 7 days a week. Our Managing Attorney Jonah Wolfson is a bilingual personal injury lawyer in Miami serving Hialeah, Hialeah Gardens, and Miami Lakes. Our personal injury team is also bilingual and are ready to help you and your family. We work on a contingent fee basis and that means you never owe an attorney fee unless we make a recovery for you. The Miami personal injury lawyers at the Wolfson Law Firm have proudly served the Hialeah, Miami Lakes and Hialeah Gardens communities in addition to the following towns and neighborhoods in South Florida: Doral, Medley, Miami Gardens, Opa Locka, Miami Springs, Sweetwater, Miami, Virginia Gardens, Aventura, Ojus, Miami Shores, and Miami Beach.